8 designers. 5 shows. 4 venues. 3 days. 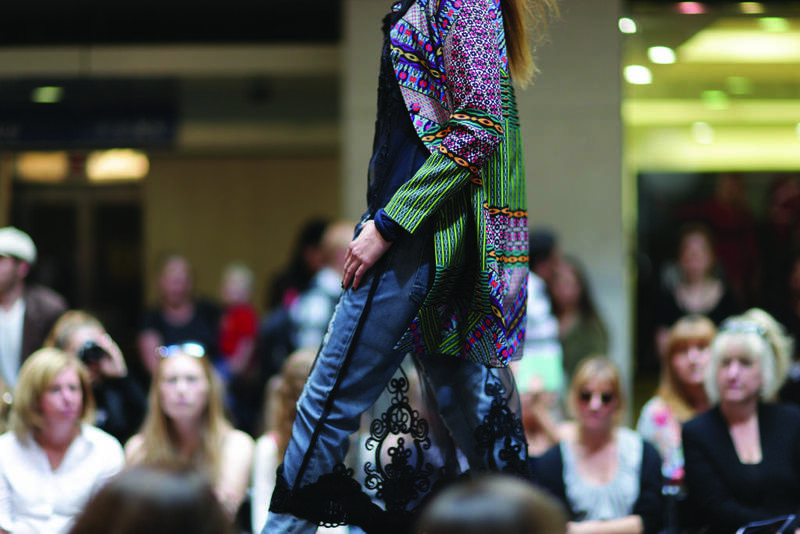 As part of the central city’s 10 Days of Fashion in the City, The Fashion Sessions return for another instalment at Britomart; this time it promises to be more spectacular than ever! The revamped event will now run over three days; featuring new shows, venues and events. On the evening of Thursday 25 February, Kate Sylvester, Zambesi and WORLD will kick off the Fashion Sessions with back-to-back fashions shows right down the middle of Tyler Street. The event will begin at 5pm with drinks and canapés inside the designer boutiques and guests will then take their seats under a clear roof marquee and watch the models strut their stylish selves down the runway lit by the fairy lights above. Trelise Cooper and Juliette Hogan will keep it classic on Friday 26 February, taking to the catwalk in Britomart’s Atrium on Takutai. Held at 12pm and 5pm respectively, it will begin with a pre-show event at the new Fashion Sessions hosting space on Takutai Square. On Saturday, 27 February, Taylor and Ted Baker will band together for a group show in the Atrium on Takutai. Rounding up the Fashion Sessions 2016, Kathryn Wilson will invite guests up to the Seafarers Members Club Rooftop for a preview of her Autumn/Winter collections from 6.30pm – 8pm on Saturday 27 February. The Fashion Sessions will be from the designers’ current collections so guests won’t have to suffer through the usual post-show wait for the garments to reach stores. Resident hair gurus Ryder Salon will take charge of styling for the 2016 event, complemented by makeup from the team at M.A.C Cosmetics. Limited seating guarantees each guest prime position at the style soirées, as long as tickets are secured early. Tickets begin at $35 and include a luxury goodie bag as well as access to the pre-show events for complimentary drinks and canapés. Standing entry to some of the shows including those in the Atrium on Takutai will also be available free of charge, though space will be limited so it’s best to arrive early to secure a spot.